Tired of people not understanding what you do? Tired of spending money on marketing that isn't producing clients? Want to learn how to clearly explain your value so that people just get it? Become a compelling communicator through all levels of messaging. 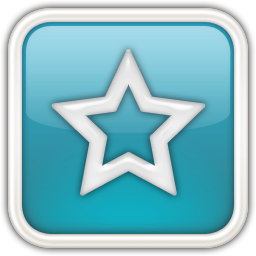 Confidence in your web based marketing. Connect your entire team around a common message so that the message spreads. To really engage your target market, you can’t simply state that what you offer is the best. You need to show your customers what their lives can look like if they use your products or services, paint a picture of how it will improve their lives, guide them and they will buy those products or services to achieve that future. A majority of small businesses are able to reach people, but then fail to engage them. Most of the time, it's because the message they're sending is unclear. 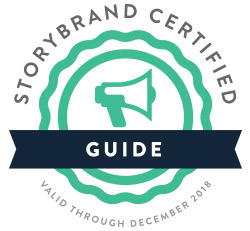 As StoryBrand Certified Guides, we are trained to listen, understand, empathize, and then create an execution plan you and your team can follow. 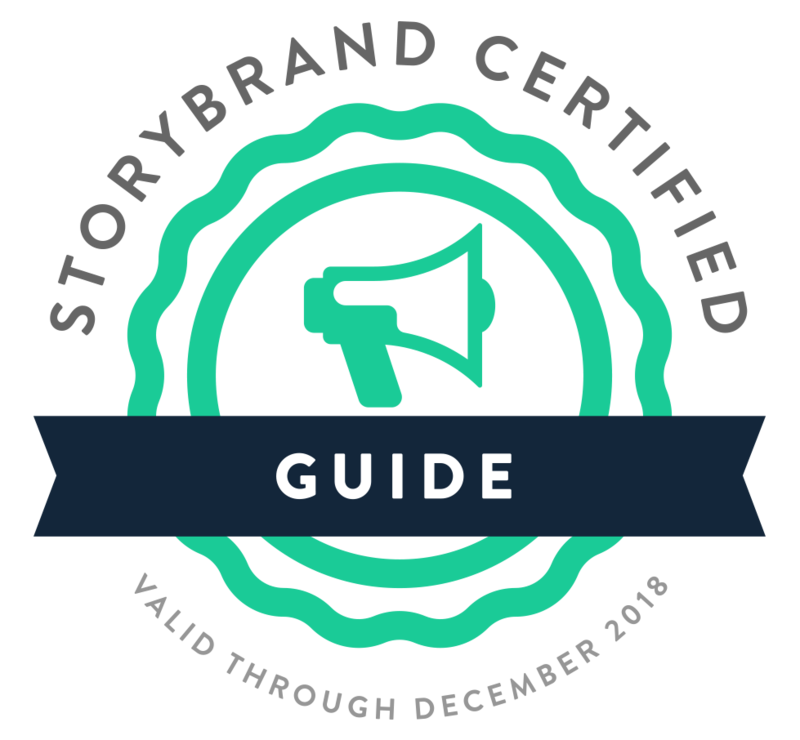 Using the StoryBrand framework, we will teach you a simple, repeatable process to increase your revenue and grow your business with confidence. Your Certified Guide will show you how to create a clear call to action and avoid the curse of knowledge. Words can be powerful and powerful words put together will have an impact. The reality is, people buy products only after they read words that make them want to buy those products. 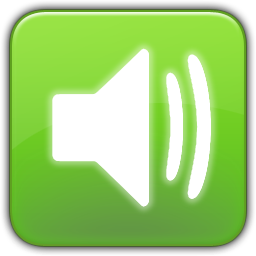 Generating new leads and re-engaging existing clients with a message that speaks to them. 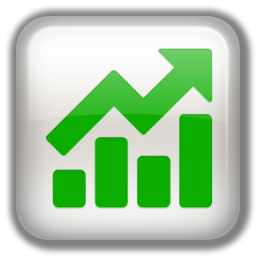 Increase sales by engaging your existing customers and generating new leads. You have no idea how your target market views your products and services. You don't know what's working and what's not working. You just want piece of mind knowing your messaging resonates with your target market. Your business is doing okay, but you just aren't seeing the customer growth you want. "I've made it this far, now what?" You want help when it comes to gaining the right customers, but you aren't sure how to get it. 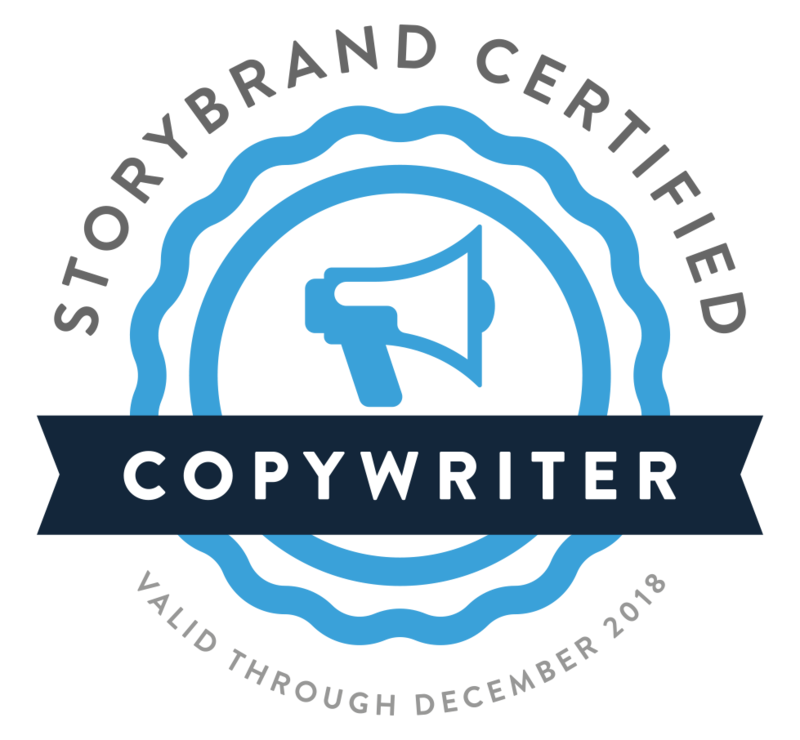 Your business is in need of someone who can listen and understand what your brand is trying to portray and make it into a story that your customers will "just get it". You're a "Do it Yourselfer". You're confident and good at everything you do You can handle all this messaging stuff and resonate your products to your target customers yourself. Your to-do list just keeps growing. You try to wear to many hats in your business. You just don't have the time to figure out what messaging is needed to resonate with the correct target customers while also getting your point across. 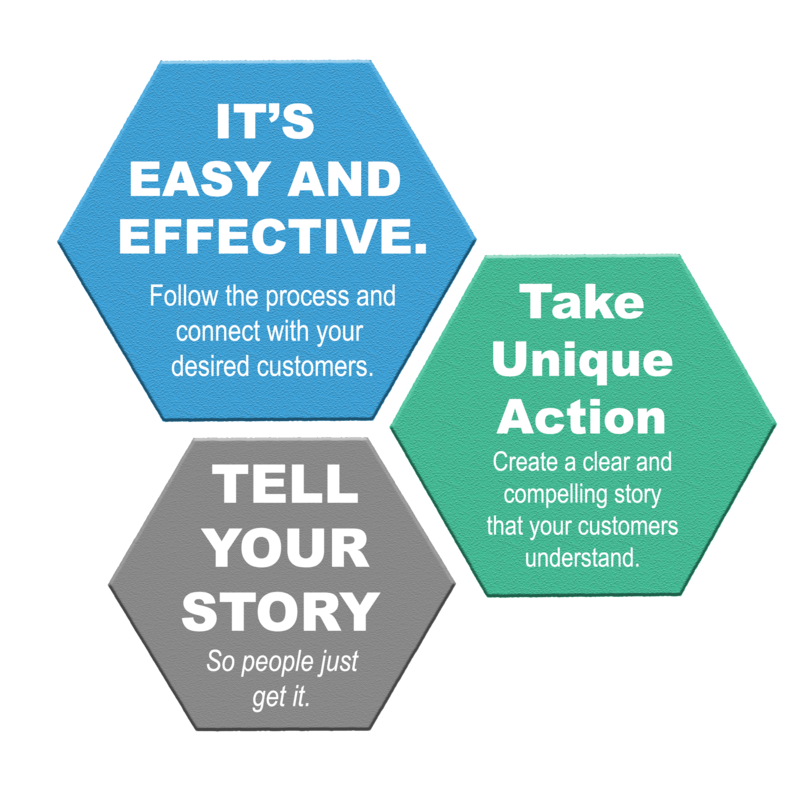 You think your story is clear but you aren't gaining the customers you think you should.